With years of practice of this industry, we are offering a diverse series of Earth Pit Cover. We offer this at nominal rates. The process of electrically connecting to the earth itself is often called earthing, particularly in Europe where the term grounding is used to describe the above ground wiring. Pit is used to cover the total earthing system. And keep it secure. We are among the well-known firm of FRP Chamber. Our products are broadly used in the market for different purposes. This product is extremely admired in the market for their sturdy nature and low rate. Due to high demand, our team makes this product in a diversity of designs that meet on industry norms. 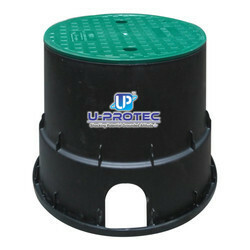 Owing to devoted experts, we have been competent to present a wide range of Earthing Pit Cover. These products are made as per industry norms and standards. 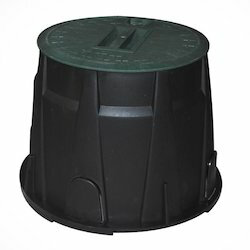 - Made of heavy duty polyethylene for extra durability. - Resistance material, Assuring long use-life. We are introducing our new launched product ‘Earthpit Cover’ as per client’s specification & requirement. It’s made from High Grade of Polypropylene (pp). It has High Durability & long service Life . Poly Plastic Pit Covers is made of Highly Durable polyethylene assuring long life use. We offer our valuable customers Earthing Cover Services. This service is offered using premium quality raw material using latest technology . Offered services are offered under the direction and supervision of our quality check experts which ensure that they deliver only good quality products to our customers.